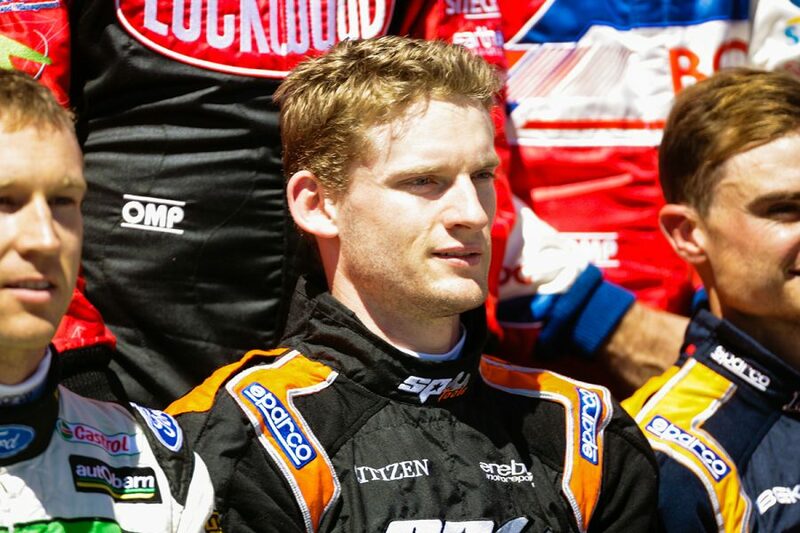 Success in the Supercars Championship has been hard to come by for international drivers, but that’s not to say they don’t leave with a soft spot for their time racing down under. Among them, Maro Engel was not well known when he arrived on our shores in 2013. 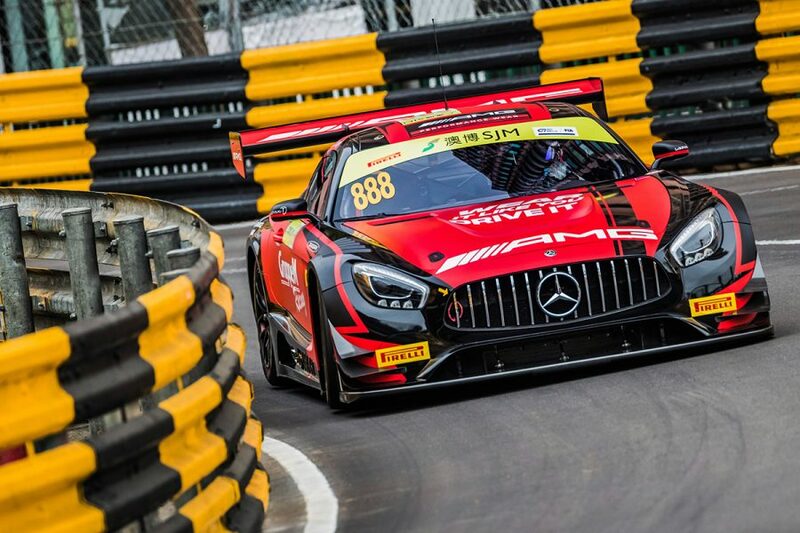 But the genial German’s single season in Erebus Motorsport’s raw Mercedes-Benz E63 AMG netted him fans that still follow his increasingly diverse career. 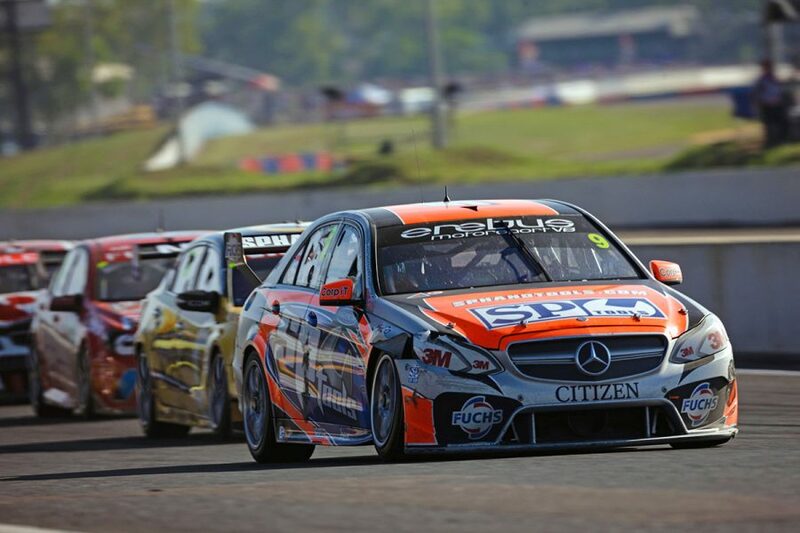 That has included DTM, Formula E and GT sportscar racing, while his time in Australia fostered a love of Mount Panorama that has made him a regular visitor to the Liqui-Moly Bathurst 12 Hour. Saturday Sleuthing caught up with the factory Mercedes-AMG racer at this year’s edition of the 12 Hour. When did you first become interested in racing? My parents tell me I was always fascinated by it, even as a baby and as a kid watching it on TV. I got my first go-kart just before my sixth birthday as a present, and that really sparked the fire. We’d then spend the weekends – just for fun – at the kart track, and the more I did it the more I wanted to do it, and the more you do it you improve, you get better. We came up with the idea of doing a club race, that went well, did a club championship, next step was a regional race and regional championship... It just evolved. The more I did it the more I wanted to do it, the more I was watching racing on TV; all the F1, all the DTM, all the junior categories, F3, F2000 at the time. That became my passion and what I wanted to do. 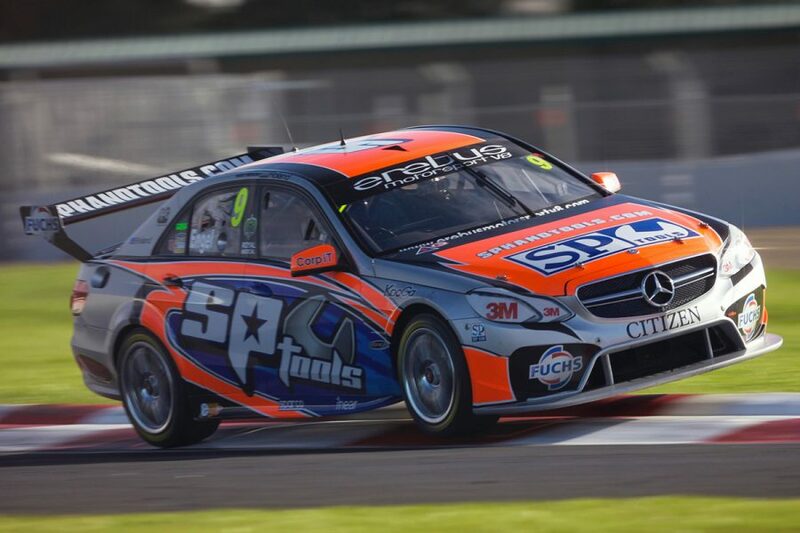 Australian fans remember you best from your season in Supercars in 2013, but how much did you actually know about the series before you came out here to race? I knew of the series because in Europe it’s definitely known as a really tough and competitive series, and some of the best racing in the world in terms of wheel-to-wheel action. I’d watched some races, but when the move was on the cards I really immersed myself into that. I was fascinated by what I’d seen in the old races on TV, and it truly was special to get the opportunity to learn a new culture of racing, to experience new events like the Bathurst 1000. 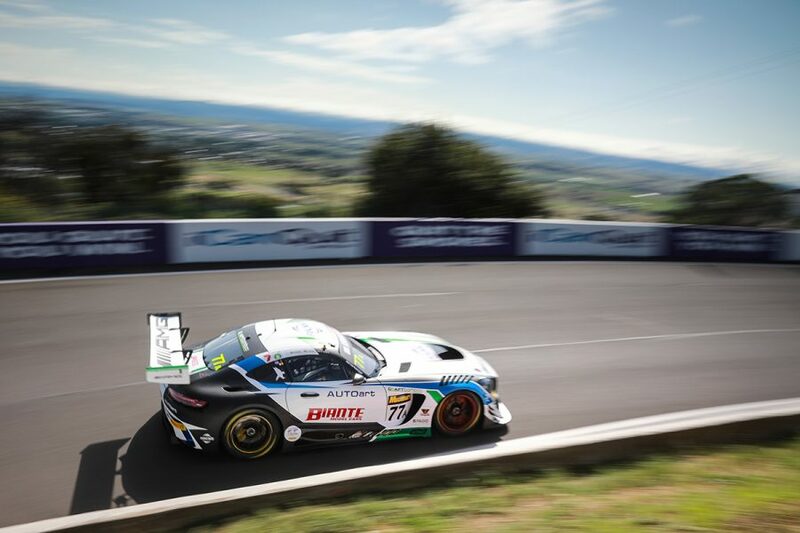 To come here for the first time to Bathurst, which is an incredible circuit I have really grown to love, and from a racing culture point of view it was definitely very special. How did the whole deal for you to race for Erebus come about? What was the timeline on it? I did an Australian GT race in their Mercedes-Benz SLS AMG at Phillip Island in 2012. It was a one-off – it was my first time in Australia and I’d been looking forward to the experience – but it turned out it was also a one-off for Craig Lowndes, who was there in an Audi. I had a really good fight with Craig for the win and managed to come out on top in the two races, so Erebus thought it was a good idea to see if I could do the same in the Supercars. From there we did a bit of a secretive test in a Ford [at Queensland Raceway] to see how I’d adapt because they are very different cars. There’s no question, and we’ve seen – especially for internationals – it hasn’t always been easy. I tested the Stone Brothers Racing Ford at the time, the test went really well and everyone was impressed. At the end of the day, I’m very happy and fortunate to have had that experience of racing cars. Clearly we wanted to be more competitive as a team! It was a tough year for all three cars. Definitely for me, it was tough. Coming in as a rookie – which isn’t easy anyway – when you’re battling problems with the car, it doesn’t make it easy. But there were a lot of very good people on board. It was certainly a very ambitious project. It’s a shame that it didn’t yield the success that we all wanted. But at the same time I’m very happy to see that Betty [Klimenko], now together with Barry Ryan and Dave Reynolds, that they’re so successful. 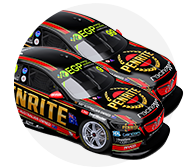 They’ve won the Bathurst 1000 and they’re up there fighting against the two big teams. It’s great to see and I’m very happy for them. 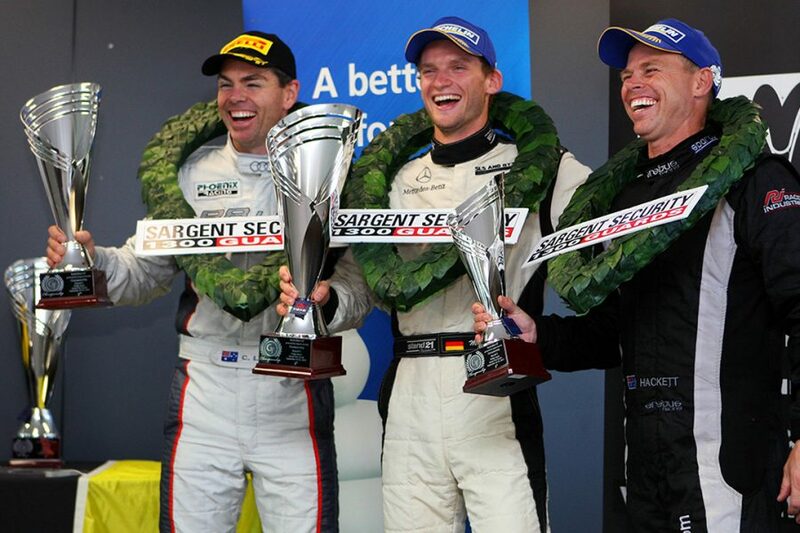 I guess that answers our next question: do you still follow the championship and how Erebus is going nowadays? I still have a look when I’ve got time – but time is hard to find at the moment! The last few years have been very, very busy with DTM, Formula E and GT racing, but when I do have time I watch the races, and if not I check the results to see how they go. There’s still the odd text with Barry, who I get on very well with, and Betty, and even Dave who’s a good friend, to see how they’re getting on and to cheer them on. It’s great to see it goes both ways; Betty actually sent me a message today [at the 12 Hour]. It’s nice. Is there anything you miss about living in Australia? I definitely missed coming here [for the 12 Hour] last year when I had a clash with Formula E! It is a great country. You guys have an awesome mentality, and a great fanbase and fan culture. There definitely are things that I miss, but I’m very grateful for the life I’m able to live. The way things have gone the last few years has been very positive. Who knows; we’ve definitely said with my wife that as soon as our little daughter’s old enough that we’ll come down and travel with her and show her this beautiful part of the world. Were there ever any offers to come back full-time or to do an enduro co-drive? Would you be keen? Not really, just because I’ve been very busy. And obviously being a factory driver with AMG there are certain restraints. Certainly when you’ve experienced it, you come to the conclusion that if the opportunity presents itself one day in a competitive car, I’d love to be a part of it again. But it just hasn’t worked out with my schedule the last few years, which I guess is not a bad thing. For me personally it’s been a few very busy but very good years. 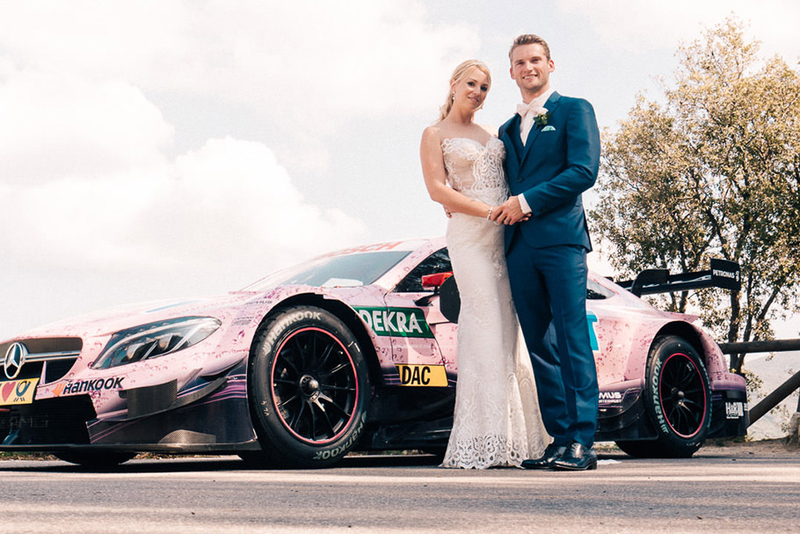 Your relationship with Mercedes and AMG must be pretty good, given they let you use a DTM car as part of your wedding! How did that come about? I was in touch with our [DTM] team boss before the wedding, and I asked him if we could maybe get in contact with the [Mercedes-Benz] museum about having an old SL or something of that calibre. Was it a harder sell with your wife than with Mercedes? It wasn’t a hard sell at all; I was expecting it to be much harder! Because, like I said, it’s not really the environment you want to get into with a white dress. But she said ‘oh definitely, if there’s any chance we’ll do it,’ because we met at DTM: she used to work in the press department. 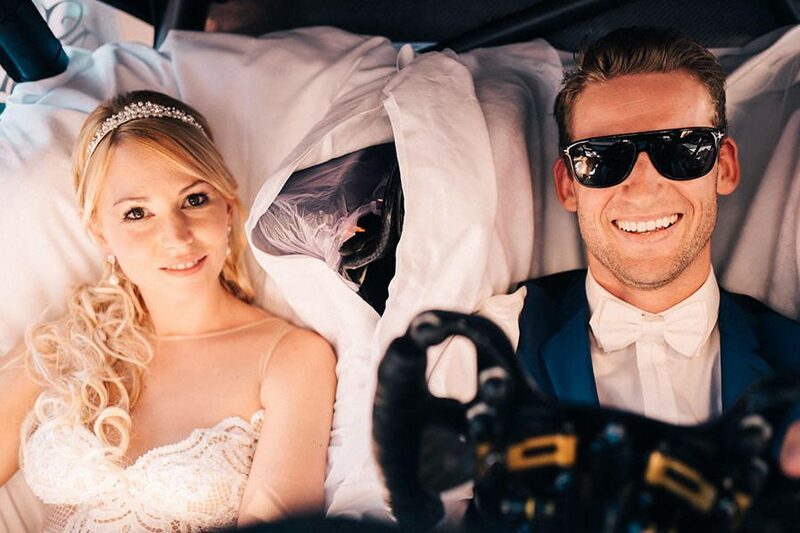 We worked on the details, decked the car out with some table cloths and had a DTM car as our wedding car, which was incredible! There was a bit of paperwork to get through to get the authorisation to drive 14km on a public road with it. It was interesting and it was a one of a kind experience, I really loved it. 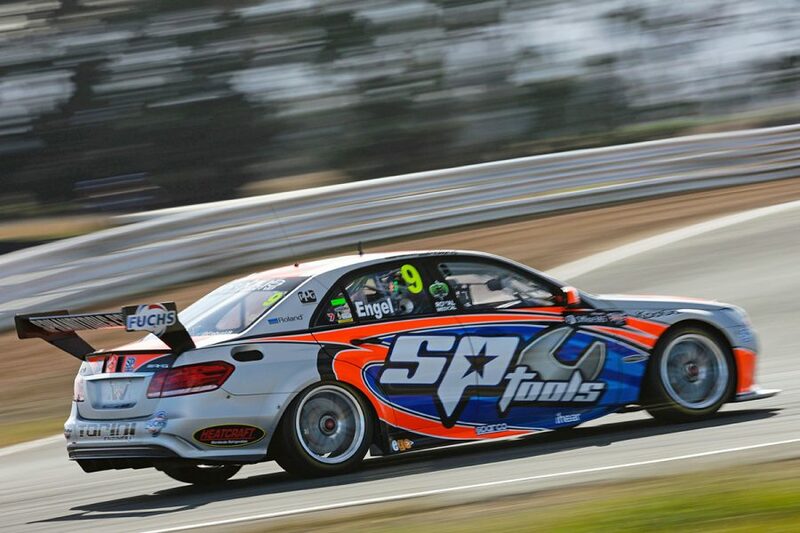 What’s your favourite memory of racing in Supercars? The fan culture. I still have a lot of fans and friends. Great fans that are still in contact via social media and following races in Europe and the US or in Asia when I’m racing there. That’s definitely something very special that you guys have here. I cherished that relaxed interaction with the fans. And the other thing I would say where Supercars is second to none is the wheel-to-wheel racing. It’s like racing go-karts with 650 horsepower. That was definitely a lot of fun as well.